I still have James Dashner’s The Death Cure in my pool bag this week (it’s the final book in the Maze Runner trilogy). It was also in my pool bag last week. Not sure why but I am having a hard time getting into it… I’ve only managed to read a couple of chapters. When I started reading this book, I (mistakenly) thought that is was a YA dark fantasy novel — it was a dark-fantasy-romance novel and not-at-all YA (if you know what I mean). Woops. Gotta take it off of Gearbox’s kindle! Unfortunately, I am not a huge fan of romance novel tropes (perfect bodies, uncontrollable passions) so I skimmed those parts of the book. Luckily, there was a lot of good story left when I skimmed those bits. I really enjoyed the princess coming into her power storyline. It’s a fantasy cliche but Jes gave it enough new twists that I was pulled into the story. I also appreciated that Tab was strong, sometimes brave, and very believable. The many classic fairy tale elements interspersed in this story made the book even better — I love fairy tale retellings. 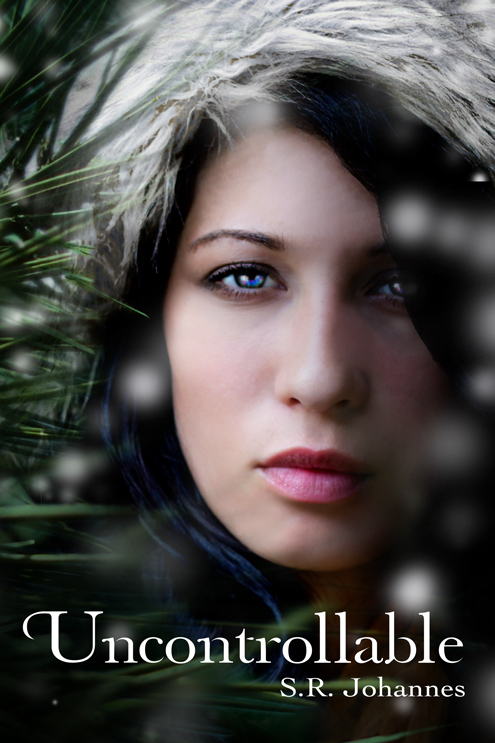 If you are a paranormal/fantasy-romance novel reader, you will adore this one. Jes tells a great story. 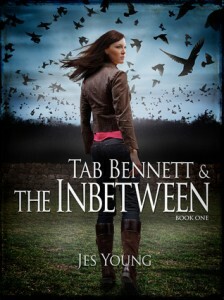 I am not a romance novel fan, but I liked Tab enough that I will buy the next book when it comes out. I also read two other books this week. But I’m too embarrassed to admit, publicly, to reading them. My friends made me do it, is all I will say. Uncontrollable (S.R. Johannes’ next Grace book) is coming out in September, and I can’t wait. I was lucky enough to be on the email list for the cover reveal, so I got a sneak peek at the cover. Isn’t it beautiful! I love Grace. She’s a strong, outdoorsy protagonist. There are not enough of those. When I was a teen I did a lot of backpacking and hiking and biking so I would have loved this series — Grace is everything I wanted to be as an outdoorsman. Untraceable was the best indie book I read in April, so I can’t wait for this book to come out in September. The author is going to have a contest on her blog today, so stop by if you are interested. What’s on the TBR pile this week? Actually (embarassingly) the TBR pile is almost the same as last week — Jayawardhana’s Strange New Worlds (NF, science) and James Dashner’s The Death Cure (dystopian, YA). I also have China Mieville’ Kraken (fantasy, award-winning-author) as an e-book loan. I’d better go read! For more It’s Monday, What Are You Reading, visit Sheila at Book Journey and Kellee and Jen over at Teach Mentor Texts. This entry was posted in reading, reviews and tagged Death Cure, fairy tales, indie books, James Dashner, Maze Runner, Tab Bennett and the InBetween. Bookmark the permalink. Interested to see how The Maze Runner movie is. I found the book slightly confusing, so maybe the movie will help. There’s a movie coming out! I didn’t know that… While I took Gearbox to see Hunger Games, I am not sure I would take him to see a movie version of Maze Runner. Sometimes we just have to read books & enjoy them because they’re a ‘pretty good’ read, no need to apologize. I do the same thing, Katya. The Uncontrollable book sounds good, so glad to know about that! Thanks. That’s true. Sometimes in the summer I like to read some ‘junk’ books while sitting by the pool. It’s hard to focus on anything more involving when you have to glance up every few minutes to check on the kiddos. I’m all for summer junk books – we need those in our lives, too! My students clued me in to the Maze Runner movie…let’s see. It was a confusing book in parts, I’ll agree. I haven’t read any of these books and while I have read some paranormal I don’t seek them out! Just amused at your non list reads! There are a wide range of books out there and why can’t we enjoy them!! I love when I find a post where I am introduced to new books- I have Death Cure in my TBR pile as well and cannot wait to read it, but I didn’t know any of the others! Off to Goodreads I go.